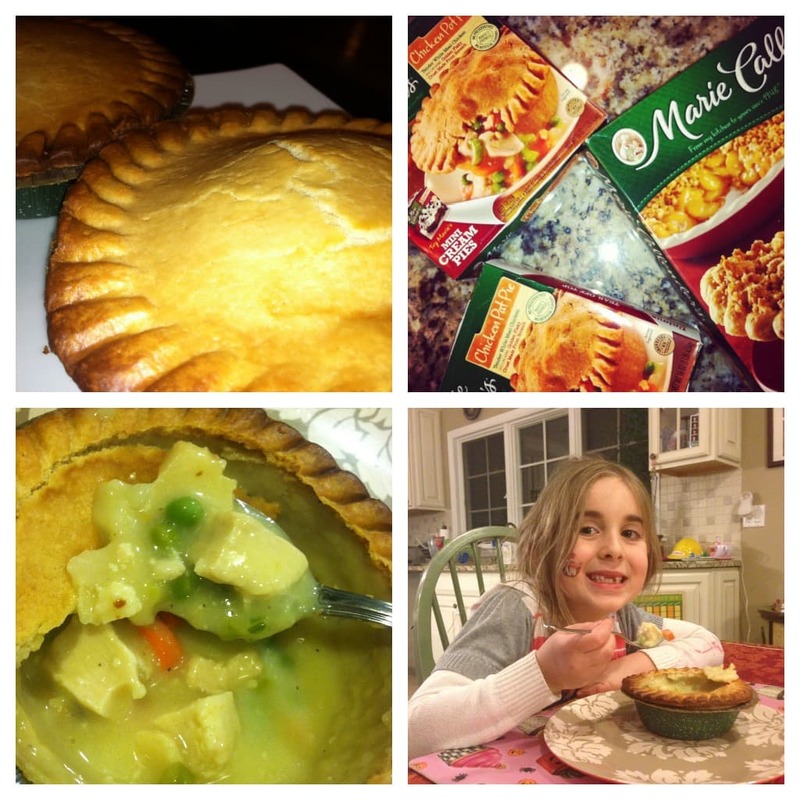 National Pie Day is January 23rd and I thought I’d have a little fun with my family over the weekend so I could write about it. Since I’m on bed rest, there was no way I was going to cook a homemade chicken pot pie. Thank goodness Marie Callender has both sweet and savory options. It just doesn’t get easier than this. You pre-heat your oven, place the pie on a baking sheet and into the oven, and in under an hour your family can enjoy a delicious meal. After the main course… they don’t leave you hanging. 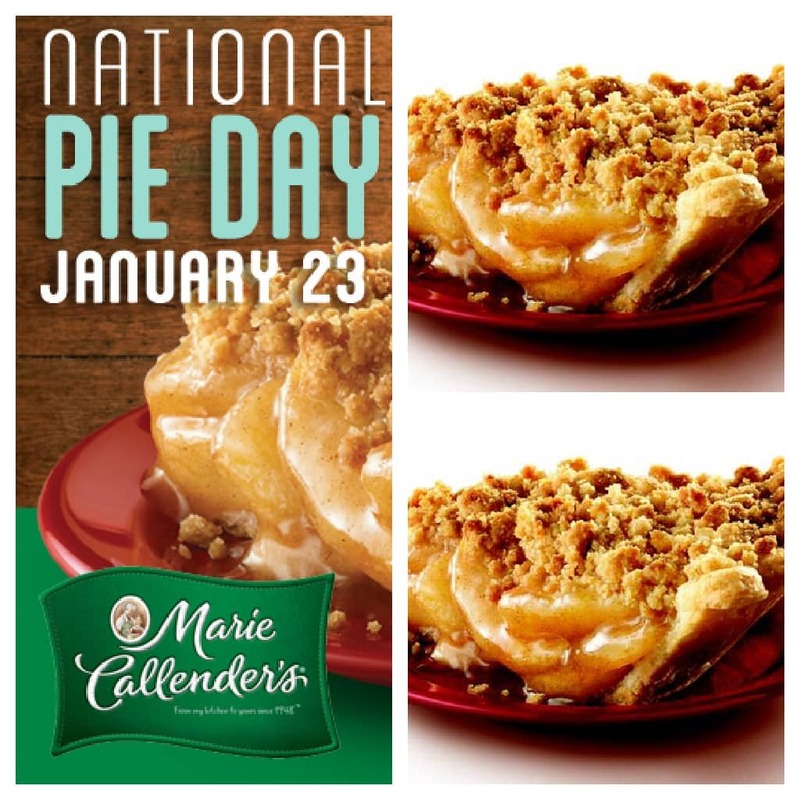 Marie Callender also has a TON of dessert pies on the market. We opted for Dutch Apple. Nom Nom Nom! 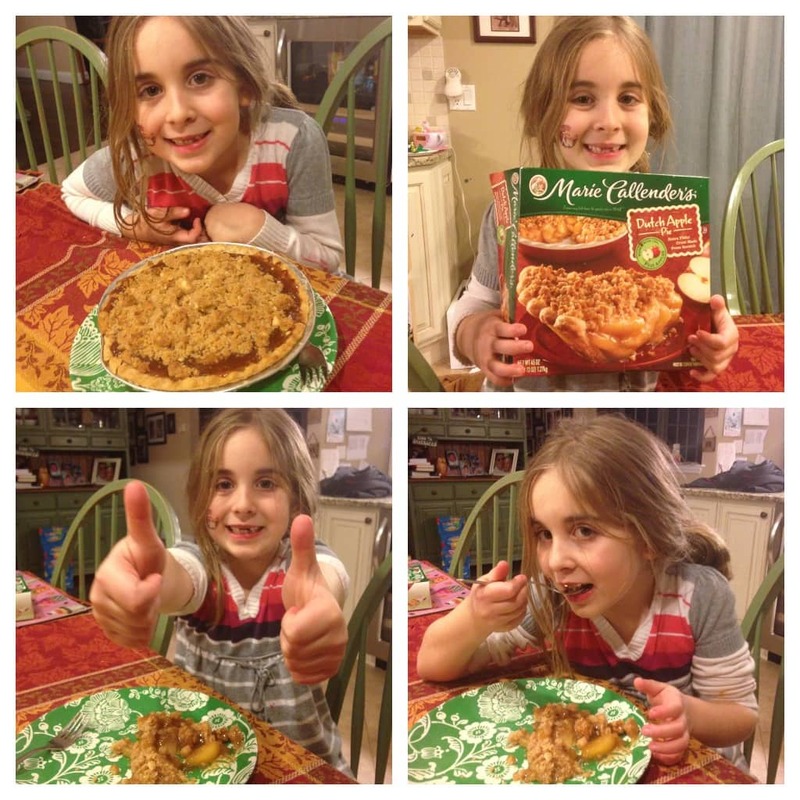 The apple pie cooks in two steps. First you heat up the actual pie according to instructions. Then you take the pie out, sprinkle the crumble top all over the steamy goodness and then put it back in the oven for an additional 10 minutes. Yes. Please. Click here to check out all the options available for the 23rd and any other day you are looking for that home-cooked taste (minus the work). How will you celebrate National Pie day? ?